pepper chicken gravy recipe is a quick and easy to make traditional Non vegetarian recipe. This chicken recipe helps to cure cold and cough. Pepper has medical quality to fight against cold. pepper chicken gravy recipe has many variations based on different locations like, Chettinad Pepper Chicken Gravy Recipe ( chettinad pepper chicken masala – Karaikudi Chicken recipe). This gravy recipe is very delicious recipe that goes well with cooked rice, chapati cutlet recipe , roti recipe, naan recipe and biryani recipe. Lean how to prepare pepper chicken gravy recipe now. 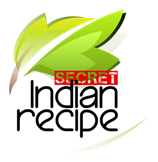 Loganayaki Tham...'s Secret Indian Recipe ! At first wash the chicken two times in running cold water and drain the water completely then cut into cubes. Take a bowl, add washed chicken, turmeric powder, fresh curd, and required salt for marinating chicken. Mix well all ingredients and marinate up to half an hour. After 30 minutes switch on the stove now place a pan. Now add oil when it is heated add mustard seeds and its splutters add cumin seeds, then add sliced onion and fry till the colour changes. At this time add green chilli and curry leaves then fry for a minute, add cubed tomatoes fry till it become mushy. It’s time to add all spices powder, add garam masala, red chilli powder, coriander powder then fry for a minute. Finally add marinated chicken and fry for 10 minutes in a spices mixture. Next add required water to cook pepper chicken and close the lid then cook until chicken fully cooked. In mean while check salt and water level of the pepper chicken and adjust it. After 15 minutes open the lid and add main masala pepper powder and mix gradually. switch off the stove and transfer Spicy Pepper Chicken gravy Recipe in to serving plate and garnish with lemon pieces and onion pieces. Now hot and spicy pepper chicken is ready, enjoy this pepper with cooked rice or any pula varieties, side dish for chapatti and Mutton Biryani.